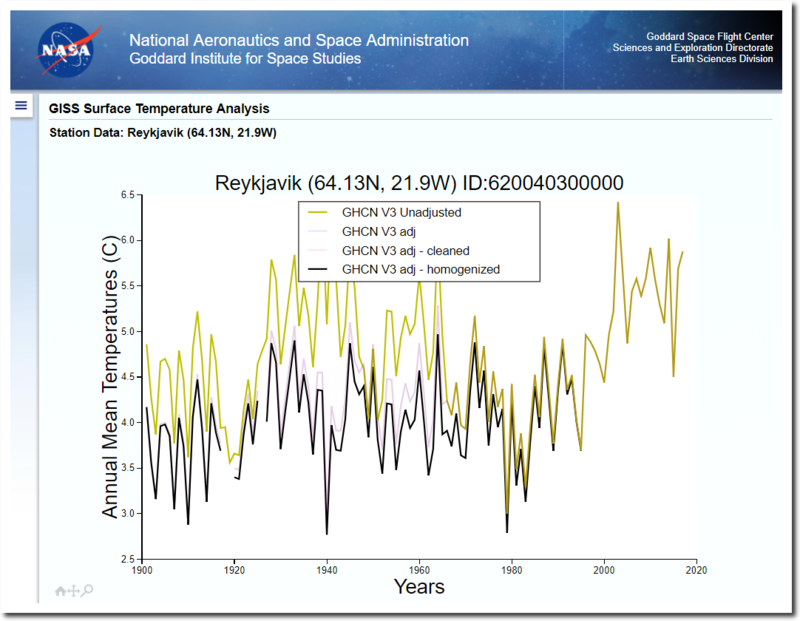 NASA and NOAA have massively altered the Reykjavik, Iceland temperature record over and over again, and have done it yet again – for at least the second time this year. 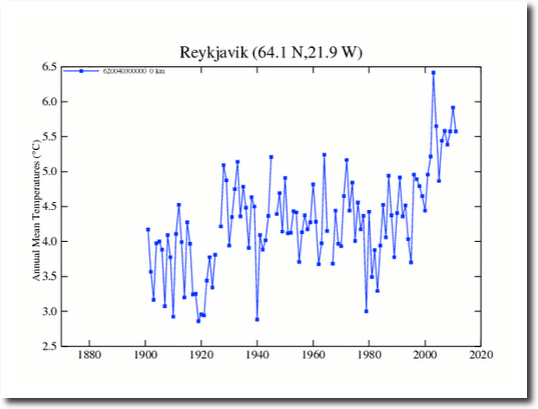 The graph below is the actual data which shows that the 1940’s were warmer than recent years. However, the adjusted data from the same data set shows something very different. The 1940’s warmth has been removed, just as Senator Roberts charged. Here is another version of the NASA adjusted graph which was captured in 2012. It is different from the previous two versions. And another version from 2014 – again different from the previous three versions, but with the 1940’s warmth removed. A fifth version was captured during October last year, with the 1940’s warmth still removed in their final, homogenized data. Note that this was almost one year after Senator Roberts wrote his letter to NASA, and that it shows exactly what Senator Roberts charged. 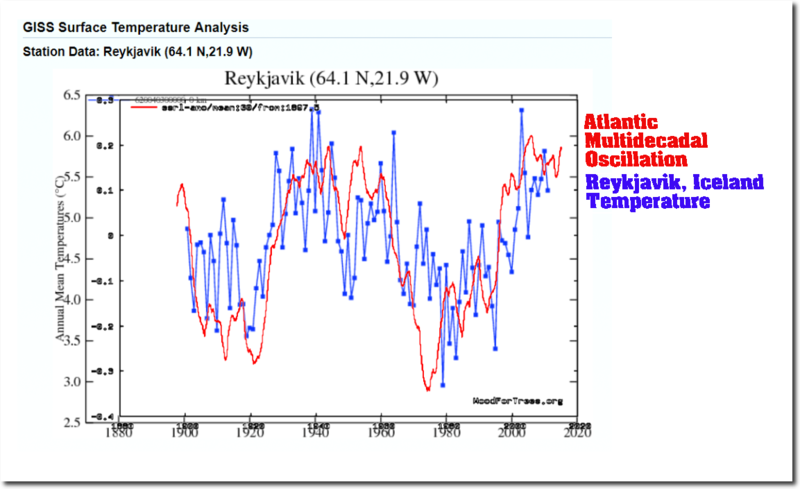 The current NASA adjusted temperature graph still shows the 1940’s warmth removed. 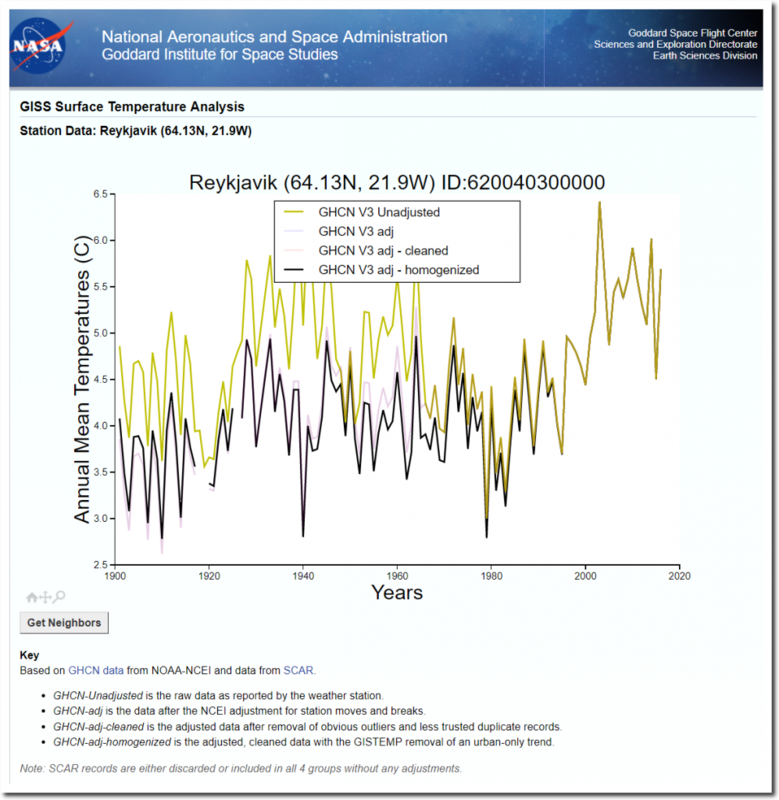 The May NASA homogenized graph restored most of the 1940’s warmth – indicating that there was never any reason to tamper with the data. But the July, 2018 temperature graph has returned to their prior fraudulent version. 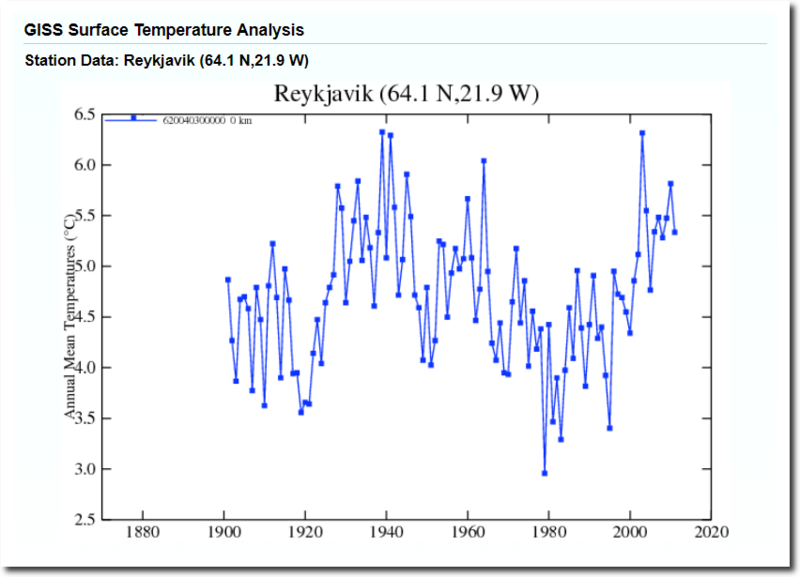 The reason it is so important for climate scientists to make the 1940’s warmth disappear, is that it shows what actually drives the climate – and destroys their multi-billion dollar scam. Phil should be along any minute now to trash this obvious scientific fraud that NASA has perpetrated. Touché Tony, not only the evidence of fraud, but the motive too! These great oceanic oscillations result from gravitational and energy absorption through our twirling dance with Sun, and Moon, yet as far as I can see no official climate models take these major influences into account. 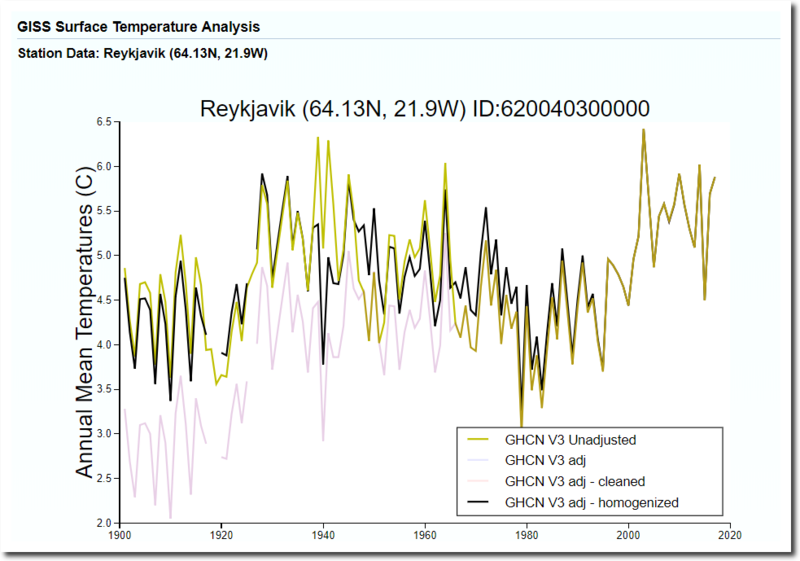 In fact, there is evidence that the PMOD TSI data has also been manipulated to reduce its measured influence on climate, how ironic the Sun being the source of almost all climate producing energy in the first place, and with the goal of removing a confounding factor and jack-up the grossly flawed CO2 hypothesis. An interesting paper on Solar and planetary oscillation control on climate change and the TSI data confounding source. I like the letters on page 28 that describe unjustified satellite temperature adjustments. Is this field totally corrupted? In any case, the paper if true would lead one to believe that the CO2 atmospheric increase is mostly if not completely beneficial. Yes indeed, with these people, if the model doesn’t agree with reality, adjust the data until it does. …would lead one to believe that the CO2 atmospheric increase is mostly if not completely beneficial. And yet again, Tony clearly demonstrates how M@nn-Made Global warming is entirely Man Made. They do it because crime pays and they know that they are insulated from punishment. They’re climate scientists after all. The rules of decency, and laws, don’t apply to this protected class. Waitaminute, waitaminute,waitaminute,! We should go “Green” by reducing GREENhouse gasses? O Griff, wherefore art thou? Nah, just say the words.. “Arctic sea ice”, and the little bed-wetter will come running and squealing from its troll-like liar. Not to mention insufficient warming for our beliefs bias. Unbelievable! Oh wait, it is believable that they would change it yet again. I am calling them out on this one. Deniers! Global warming is man made! 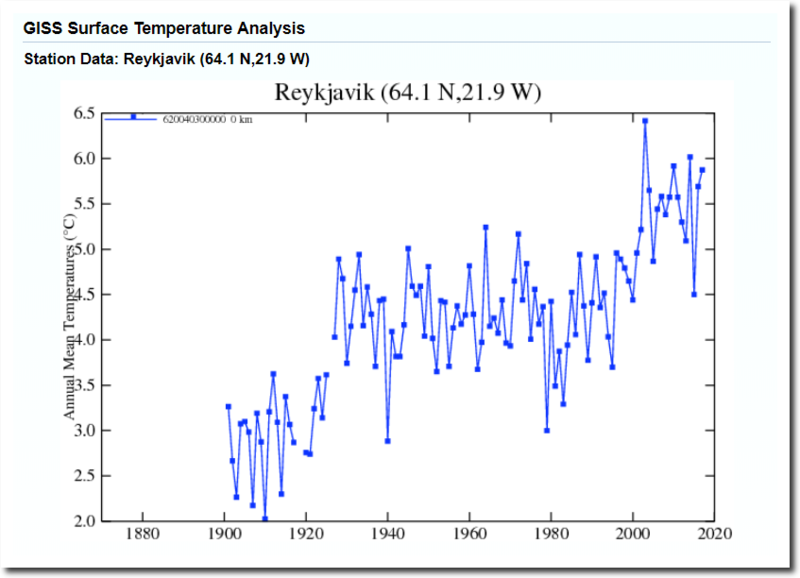 Nature shows no warming but man has created the fake warming. DEFUND NASA until they revert back to their raw data. When is the NASA swamp going to be drained?? They also lied about going to the Moon. You forgot your sarc tag Joe. Well Tony what do you think of these trends from WFTs site. How come the land only trend line is so extreme according to the RSS V 4 data? ( yellow) Certainly RSS 3 and UAH V 5 and 6 are left far behind. Why is this the case? 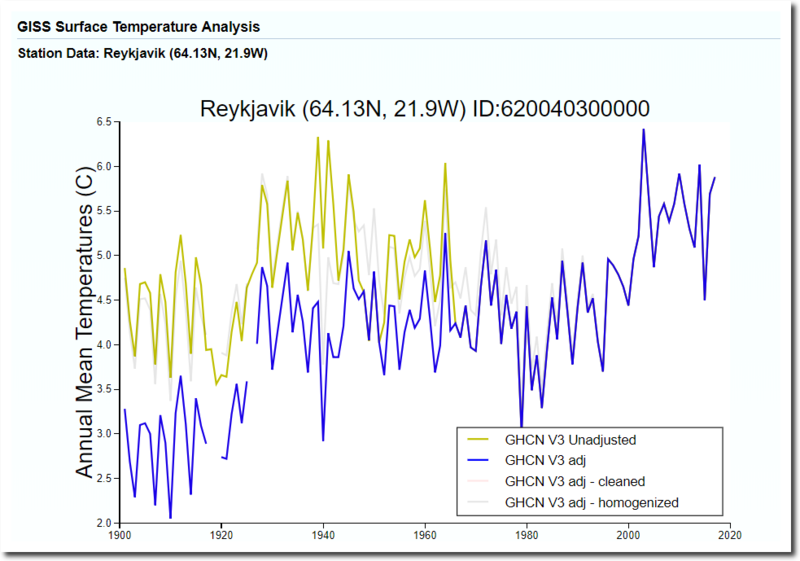 If this isn’t spurious warming then what should we call it? Tony here is Dr Cowton’s York Uni tool that uses all the data-sets and all regions. RSS V 4 is way above UAH and even shows 0.3 c warming per century in the Antarctic. What do you think of the value of this tool and is the input data accurate ?